NJ Arts Magazine did a feature Interview with John about ‘True Believer’, his career, advice for up and comers and more!! Check it out here…its an fantastic 6 page spread! Heres a great review of ‘True Believer’ by Mark Edwards at SkidMark.org!! 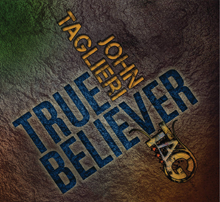 “From the blistering intro riff of “Don’t Ask Why” to the final fade out of “Mad Mad World”, John Taglieri ’s fourteenth release, ‘True Believer’, ROCKS! Faster & heavier than many of John’s previous albums, ‘True Believer’ shows that even though 16 years have passed since his debut album ‘Leap of Faith’, John can still produce the goods! My fingers were tapping and my head was nodding from start to finish – great job JT. Of the six songs there’s potential in each of becoming somebodies ‘fave track’, but for me personally ‘Above The Sunrise’ stood out as one I’ll be listening to a lot! ‘True Believer’ is NOW AVAILABLE!! True Believer is NOW AVAILABLE!!! I hope you enjoy this EP!!! ‘Don’t Ask Why’ Official Video Release!! The Official video for ‘Don’t Ask Why’ is out!! Click below to check it out! Give it a like and subscribe to the youtube channel!! Teaser Video for The Single ‘Don’t Ask Why’! Here is a Teaser for the upcoming single and video release for the song ‘Don’t Ask Why’ off the upcoming EP ‘True Believer’. The single and Video will debut on 8/1 so watch for it! Here is a link to check out the 2nd promo video for the upcoming EP ‘True Believer’! True Believer Promo Video #1! 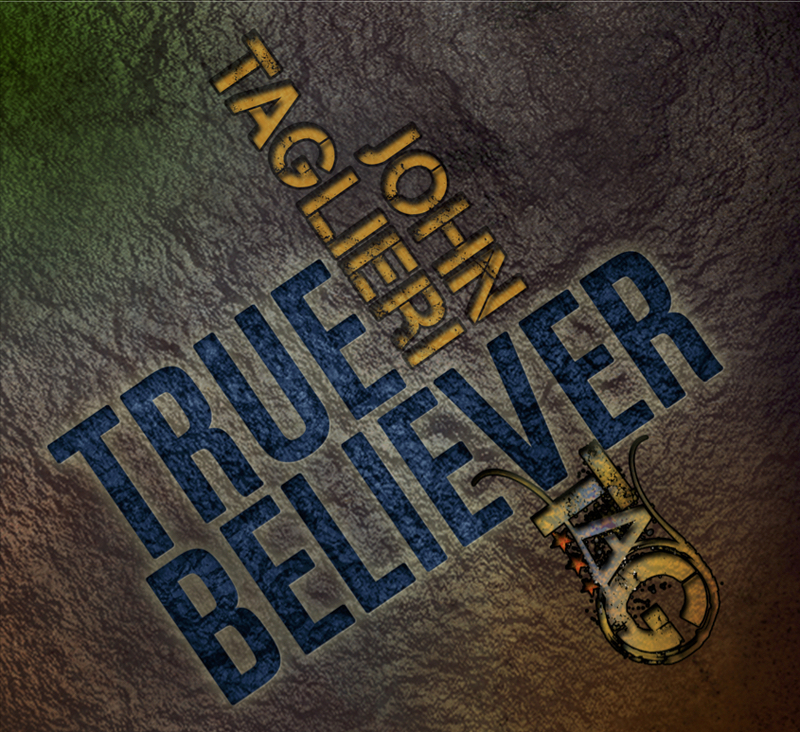 The upcoming, 14th release by John Taglieri, ‘True Believer’, will release on Tuesday August 14th, 2015. Heres a sneak peek at the cover. Stay tuned for more info in the coming weeks! Here is Johns June and early July calendar! be sure to check it out and catch a show! The new sales page for the Drink A Lot – Make Poor Decisions Tee Shirt and coozie line is up and active! There are girls tees, girls tanks, guys tanks, basic tees, coozies, cds and more! Check it out today and order yours!